Country Growers joined our Mission to help provide access to “Clean Water for All by 2030”. This Mission was initiated by the United Nations. A big thank you to Country Growers’s team and customers for joining this extremely important mission on 15 November 2017. Fruit and Vegetable retail store. Farm Fresh Fruit and Vegetables Gourmet Groceries international groceries, fine food retailer. 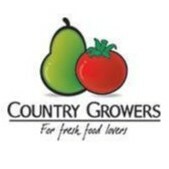 We guarantee that you will always find at Country Growers the best and freshest, premium produce from nature to your table.